Visit magical Disneyland California, the happiest place on earth. Located in the city of Anaheim, Orange County in Southern California, the world famous Disney parks - Disneyland and Disney California Adventure, attract millions of tourists each year. Disneyland California Ticket Prices: The most expensive tickets are one-day park hopper passes purchased at the gate or online. 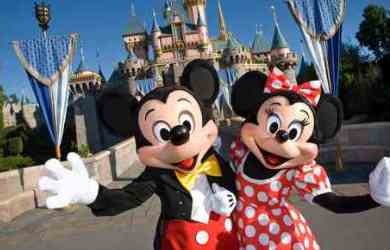 You can get many discounted Disneyland California tickets if you plan ahead. Disney recently started pricing that varies by the day, so you want to check out information on current ticket prices and discounts at Disneyland Anaheim Tickets. Disneyland Annual Passports - If you are a frequent visitor to Disneyland, you should consider an annual passport. 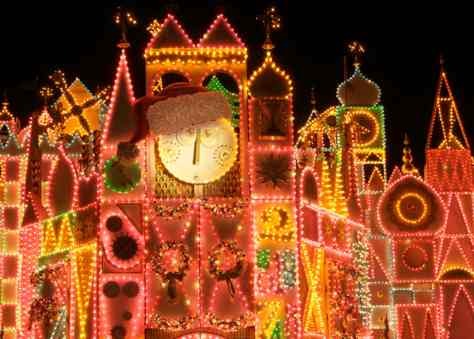 Check out the options for Disneyland Annual Passes. 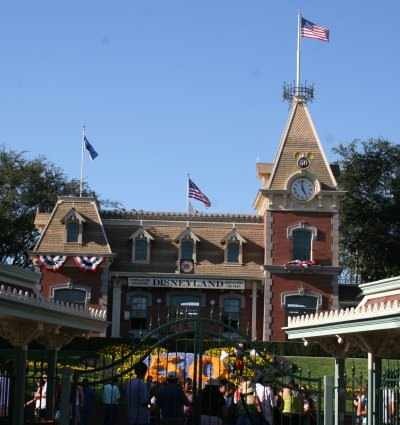 Disneyland California Hours: Disneyland is open daily, including all major holidays, when it is very popular. Park hours vary by day and season, so check for the current Disneyland Anaheim hours at Disneyland Hours. Disneyland Hotels: Disney has 3 Disneyland Hotels that are connected to the park via the monorail. These 3 Disney hotels are fairly expensive but convenient. There are also many moderate priced hotels near Disneyland, within easy walking distance to Disneyland California. 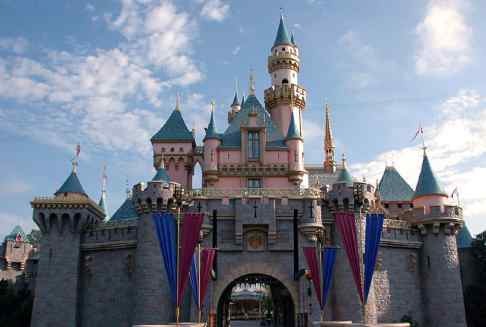 Disneyland Package Deals - Save money for your Disneyland California vacation by getting a package deal, which may include discounted tickets, hotel and even airfare. For details see Disneyland Package Deals. Parking: Current Parking fees are $25.00 for cars and motorcycles, and is more expensive for oversized vehicles. Pet Accommodations: Dogs and Cats may stay for $20 a day at the Disneyland Kennel Club, which is open 30 minutes before and after the park operating hours. Pets must have vaccination certificates for rabies and other short. Call 714) 781-7290. No overnight stay. Food: When you’re hungry -- and you’re bound to be hungry sometime during your trip to Disneyland CA -- you can find food almost anywhere. A great place to look for food though is Main Street or New Orleans Square. You can get a delicious gumbo or clam chowder in a bread bowl at the Royal Street Veranda in the New Orleans Square. There are also several cheap restaurants outside Disneyland park across from the main entrance. These include McDonald's restaurant, Tony Roma's ribs, Denny's, Cold Stone ice cream parlor, and IHOP. Also two blocks outside Disneyland park is the Anaheim Gardenwalk, with many nice restaurants such as Bubba Gump, Cheesecake Factory and many more. Star Wars: Galaxy's Edge. Pilot the Millennium Falcon for a smugglers run through hyperspace. Star Wars: Rise of the Resistance. Join the Resistance and fight the First Order. Journey to Batuu. Take a journey to the planet Batuu. Black Spire. Visit the Black Spire outpost. Disneyland California, the original Disneyland theme park, will keep you coming back with its classic rides. The best rides used to be called the E ticket rides, back in the days when Disneyland issued ticket books instead of their daily pass for all you can ride. 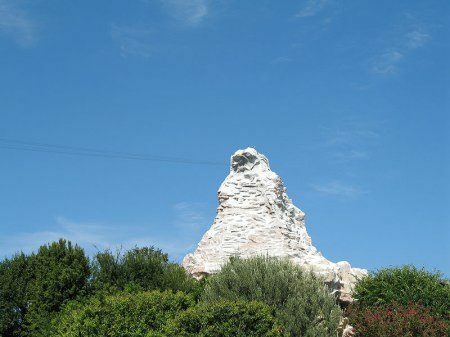 Crowded lines attest to the greatness of the most popular roller coasters in the park, the Matterhorn Bobsleds, Thunder Mountain and Space Mountain. The Matterhorn spirals through the easy to spot snow-covered mountain formation in the middle of the park, with abominable snowmen appearing throughout. 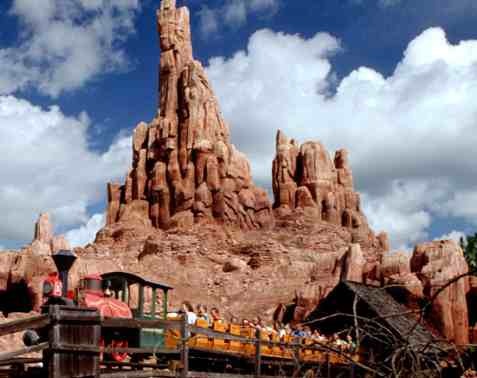 Thunder Mountain railroad weaves through the canyons and mine shafts of an abandoned mine at Disneyland Anaheim. 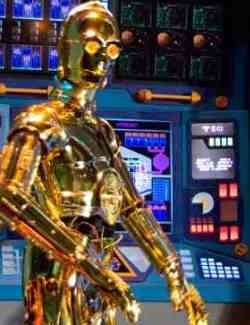 Explore the expanded Star tours ride, with over 30 different adventures in space with your favorite Star Wars characters. 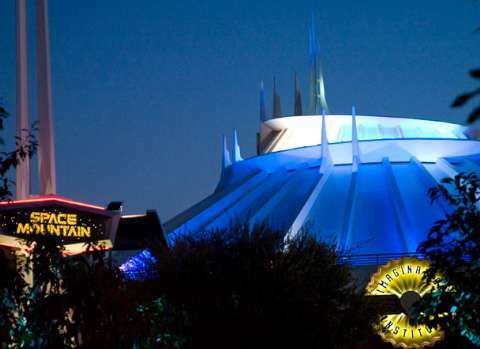 Space Mountain has a more unique scenery, where it shoots the rider into hyperspace Star Wars style, through a pitch black room sparkled with spectacular stars that make the ride a thrilling experience at Disneyland Anaheim. 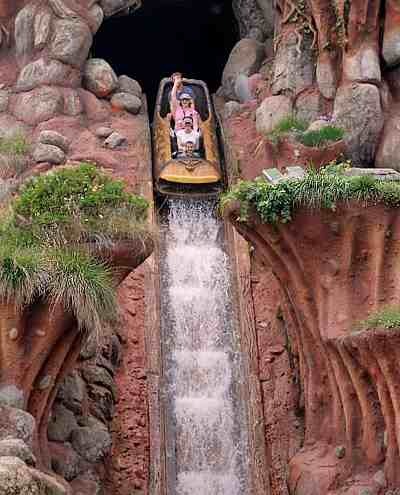 Splash Mountain, with its daunting 50 foot drop, challenges riders to face their fear of heights. With its crazy and almost nonsensical calm story telling beginning, Splash Mountain almost induces an amnesia of the great drop at the end, until, at least, you finally get to the end. But beware -- you may get wet. Pirates of the Caribbean is another one that shows that plot of the adventures of Jack Sparrow as he drunkenly dodges his pursuers. 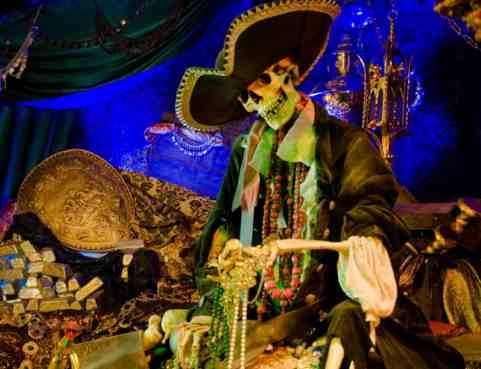 You may also enjoy the Jungle Cruise, an exploration of the jungle often accompanied by a humorous twist by your guide. 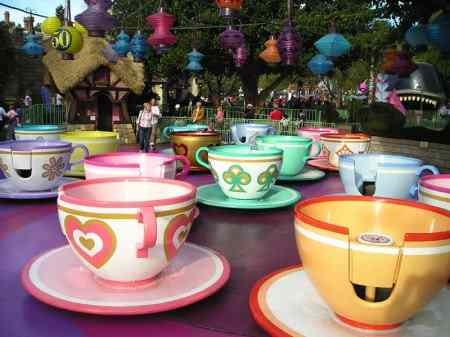 Many of the Disneyland CA rides follow the plots of famous Disney movies. Some you get to ride through the adventure, including Snow White’s Scary Adventures and Peter Pan’s Flight. Others you can walk through such as Sleeping Beauty’s Castle and Tarzan’s Treehouse. Outside the many rides at Disneyland CA, you can find many other things to do. Check out Tom Sawyer Island, which is a child’s dreamland filled with secret tunnels, tree houses and rope bridges. The island recalls the adventures of Tom Sawyer and Huckleberry Finn when they ran away to a remote island to like the carefree like of a pirate. 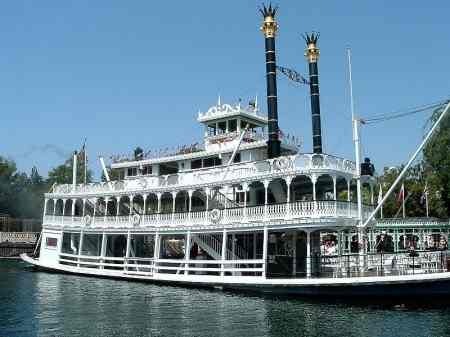 Circling the island is the Mark Twain Riverboat, named after the Author of Tom Sawyer and Huckleberry Finn. You can also take the same route around the island riding the ship Columbia or rowing the Explorer Canoes. At Disneyland California you can also meet some of your favorite Disney characters, who will be wandering the park during the day. Get an autograph, give them a hug or pose for a picture with these friendly characters.